You deserve customized real estate service and we deliver it. As real estate professionals, we monitor the critical information that affects your area's home values. In fact, we would be happy to provide you with a report of the most recent real estate activity in your neighborhood. And if you're thinking about making a move, we can also offer you a market analysis for the neighborhoods you're interested in. All of our reports and summaries are FREE, with no obligation. Call us direct, (817) 337-0000 or visit us online, http://www.groveteam.com/. When you are interviewing agents, make sure you choose a team grounded by a belief system and written values. As your real estate professionals, we partner with you to achieve your goals. Whether buying or selling, our comprehensive approach begins with YOU. Call on the Grove Team for all of your real estate needs. Reach us direct, (817) 337-0000 or online, http://www.groveteam.com/. Bathroom remodeling remains America's most popular - and profitable - home improvement. Recession aside, homeowners - and prospective buyers - still want stylish bathrooms that offer a relaxing, comfortable place to recharge and rejuvenate. While today's bathrooms are likely smaller in overall square footage, they can feel larger through better space planning and innovative solutions. "Small bathrooms can be just as enjoyable as their larger, more extravagant counterparts thanks to some forethought and clever tricks-of-the-trade," says Todd Fratzel, a residential construction engineer and home improvement expert. "It's important to start by designing an efficient floor plan that is as inviting as it is efficient, and leverages available space and product innovations." Fratzel suggests selecting fixtures that extend your room's size. The Porcher Solutions wall-mounted Dual Flush Toilet conserves water and saves valuable real estate by placing the toilet's water reservoir in the wall. Part of the company's Solutions Collection of luxury bath furniture products, the in-wall tank system and coordinating wall-hung lavatory are the perfect small-space solution for a down-sized, but feature-rich, bathroom. "Extending a room's physical square footage through built-in or wall-mounted fixtures provides a 'big-bathroom' feel to smaller spaces," explains Fratzel, managing editor of Front Steps Media and author of the website, www.homeconstructionimprovement.com. "Likewise, shifting from a tub to a shower is a better match for how we live today, as well as a means of adding more features in less square footage." Fratzel notes that multi-function showerheads and hand showers provide the same relaxation as a soaking tub in far less time and with significantly less clean up. The American Standard Shower System, for example, features a five-function personal hand shower that is ideal for pinpointing sore muscles with therapeutic massaging action. Another luxury easily incorporated into a small bathroom is a residential steam shower, which offers a spa-like experience in the same footprint as a conventional shower. The steam generator, such as those from Mr. Steam, can be located away from the bathroom, so that even in a downsized space, homeowners can relieve tired muscles, enhance skin tone and treat respiratory conditions. Don't forget the feet, says Fratzel, who advocates the use of radiant floor heating to deliver more consistent room temperatures more efficiently and in a healthier way than conventional systems. Ideal for new construction and retrofit applications, modern radiant systems, such as those available from Uponor, heat objects instead of air. In fact, people with radiant heating systems can be comfortable at temperatures six to eight degrees lower than with traditional forced-air heat. Finally, small spaces seem larger and more inviting when filled with natural light - a task easily accomplished through the use of operable acrylic block and decorative glass windows from Hy-Lite. The fully-customizable windows come in a broad range of styles, helping homeowners add natural light and fresh air to a room without sacrificing privacy. Operable acrylic block windows are Energy Star-qualified in most areas of the country and make privacy a breeze in kitchens, bathrooms, bedrooms, hallways and other living spaces. "Small bathrooms feel larger and more luxurious with an eye toward maximizing functionality," says Fratzel. "Upfront planning will ensure years of satisfaction and a strong resale investment." Are you considering some updates before putting your home on the market? Contact us on the Grove Team to learn more about low cost, high impact updates. Houses - On Sale Now! Rock-bottom interest rates and lower prices together mean it is more affordable to buy a home today than at any other time in the last 40 years. In 2010, the mortgage payment required to purchase the median priced home in the U.S. fell below 20% of the median household income for the first time since 1971. Are you considering a new home in 2011? Words in the media such as foreclosure and short sale can be intimidating. That is why you need a real estate team equipped with the knowledge and experience to work with. Contact the Grove Team, Keller Williams direct (817) 337-0000 to learn how distressed properties have affected our area. Find us online, www.groveteam.com. Follow us on Facebook and Twitter. Everybody needs a place to live! As employment conditions and consumer confidence improve, a greater number of potential buyers will return to the housing market. Do fewer households harbor pent-up demand? Only 357,000 new households were created in 2010 - down more than 70% from the average of 1.3 million per year recorded from 2002-2007*. The 63-year low resulted from lower immigration rates and the fact that more Americans moved in with family members or doubled up with friends during a time of greater economic instability. New household formation is expected to return to more normal levels as the recovery continues**. Are you looking to create a new household in 2011? Whether you are thinking of buying, selling or both, the Grove Team is here and available to work with you every step of the way. Call us direct, (817) 337-0000. It is important to remember that all real estate markets are essentially local. The economic environment and employment situation can vary distinctly from area to area and impact the balance of housing supply and demand. It's difficult to believe the average mortgage rate near the end of of 2010 was less than half the 30-year average of 9.0%. Many Americans have now grown accustomed to low interest rates, but the Freddie Mac Survey(1) that began tracking rates in 1971 registered a new and dramatic low of 4.19% in October 2010. Historically low rates market it possible for more people to purchase a home or refinance a mortgage and enjoy reasonable payments for years to come. Are you ready to take the next step in homeownership? Whether you are looking to buy your first home or make a move up, the Grove Team is available to walk you through each step of the way. Contact us direct today, (817) 337-0000. Find us online and search properties with the MLS, www.groveteam.com. Follow us on Facebook and Twitter! For information concerning lane closures, alternate routes, highway conditions, and more. Visit the NTE Information Center at 8713 Airport Freeway, Suite 100, North Richland Hills, TX 76180. Below are the lane closures that you can expect for the coming weeks. These dates are subject to change, so please visit the Lane Closures page on the website daily for the most current information. 1) FORT WORTH STREET CLOSURE: The right lane northbound on Beach Street will be closed at the IH 820 intersection. 2) NORTH RICHLAND HILLS MEDIAN & SHOULDER CLOSURE: The median and shoulder eastbound on IH 820, from Susan Lee Lane to Nancy Lane, will be closed. FRONTAGE ROAD CLOSURE: The frontage roads eastbound and westbound on IH 820, between the IH 35W/IH 820 interchange and the IH 820/SH 121/SH 183 interchange, will have various lanes closed. 4) HURST MEDIAN & SHOULDER CLOSURE: The median and shoulder eastbound and westbound on SH 121/SH 183, between Yates Drive and Norwood Drive, will be closed. 5) HURST FRONTAGE ROAD CLOSURE: The frontage roads eastbound and westbound on SH 121/SH 183, between Brown Trail and Norwood Drive, will have various lanes closed. 6) HURST & BEDFORD MEDIAN & SHOULDER CLOSURE: The median and shoulder eastbound and westbound on SH 121/SH 183, between Hurstview Drive and Forest Ridge Drive, will be closed. 7) EULESS MAINLANE CLOSURE: The left lane eastbound and westbound on SH 121/ SH 183, between Central Drive and Industrial Blvd., will be closed nightly. Stay tuned to the Grove Team Blog for up to date information on the NTE construction updates and lane closures. For all of your real estate needs contact us direct, (817) 337-0000. Kitchens cry out for a perfect balance between beauty and practicality. Nowhere is the marriage of form and function more important than in the room where most American families spend the majority of their at-home time together. Ceramic tile is the natural choice for kitchens. Homeowners appreciate its durability and designers admire the flexibility it gives them in creating beautiful, yet practical spaces. Now, advances in tile manufacturing, such as digital printing technology, and the endless creativity of homeowners and designers alike, are driving new trends in kitchen design. Gone are the days when homeowners were willing to trade the spare, clean and peaceful look of an open wall for the storage convenience afforded by walls full of cabinets. "Cabinets and countertops were once the main focal point of a kitchen," notes Patti Fasan, Tile of Spain ceramic tile consultant. "Today, open wall space is demanding more attention." Drawing on European influences, designers are now limiting the use of upper cabinets. Instead, they devote an entire wall of the kitchen to a floor-to-ceiling cabinet, similar to a wall unit, which easily replaces the storage space lost by eliminating upper cabinets. The remaining three walls are either cabinet-free, or boast open shelving units. The open wall space above the countertop becomes a blank canvas for a design focal point. Ceramic tile is at the top of the list of preferred finish materials for these walls, often taking center stage as a stunning floor-to-ceiling backdrop to the sculptural stainless-steel range hoods currently in vogue. It's also finding its way beyond the backsplash to the remaining kitchen walls. "The shift in aesthetic tastes aligns perfectly with another shift in buyer behavior," says Fasan. "Consumers are increasingly demanding healthy, safe, sustainable and durable quality finishes. Ceramic tile is known for several inherently healthful characteristics. It's fireproof, does not absorb odors, contains no volatile organic compounds (VOCs), is low-maintenance and requires no toxic cleaners, sealers or deodorizers." A trend toward open floor plans, with the kitchen as a focal point of an entire living space, has led to some homeowners installing hardwood floors in the kitchen. While the appeal of an uninterrupted expanse of hardwood is undeniable, the material is rarely practical in a kitchen setting, where it may be exposed to moisture, food stains, heavy traffic and water spills. Homeowners and designers have discovered a better alternative. Ceramic tile, available in a variety of plank-like widths and lengths, uses advanced digital printing technology to deliver the beauty and variability of pattern and grain that makes hardwood so enticing, but maintains the durability of ceramic tile. Wood-look ceramic tile can be installed with minimal joint lines, making it look even more like a real hardwood floor. And when it comes to cost, ceramic versions of popular hardwoods such as oak, beech or pine are cost-competitive with the authentic woods. Designers are also taking advantage of the opportunities created by wood-look ceramic tile, and continuing the finish onto wall surfaces. Before, hygienic concerns and cleaning challenges made it impractical to use real wood on kitchen walls. This look can now be achieved using durable, beautiful ceramic tile. Homeowners are opting for more personal and even eclectic colors and finish materials in their kitchens. Brave color accents and bold pops of color in the kitchen often match accessories or art in an adjoining room. A ceramic tile feature wall is a great opportunity to draw favorite colors from other design elements in the home into the kitchen. "This approach is especially popular mixed with ultra modern white, black and stainless steel designs," says Fasan. "Larger format tile in square, rectangle or even a unique water-jet cut shape - one color, one size and one shape - over the entire tiled wall creates a 'wow' experience and rewards this color courage every time." Visit www.spaintiles.info to learn more. Ted C. Jones, Chief Economist for Stewart Title discussed aspects of the 2010 National Association of Realtors Profile of Home Buyer and Sellers just released. * Half of all the homes sold in 2010 sold within 8-weeks of hitting the market. How do price reductions work when selling? Finally, of all the homes sold in 2010 - 89% were listed by a real estate agent. The agent you choose does matter. Contact the Grove Team direct, (817) 337-0000. We would appreciate the opportunity to interview for the job of your professional real estate team today! Visit us online, www.groveteam.com or follow us on Facebook and Twitter. Although short sales have been around for a long time, recently we find them to be a more commonplace term when buying or selling real estate. A short sale is a situation in which the seller (1) owes more money on the loan than the sale of the property will likely produce on the market and (2) unable to bring money to closing. The seller may or may not be in preforeclosure. Can the Grove Team help? You bet! Whether you are considering a purchase of a short sale or need to sell and would like the explore a short sale as an option, the Grove Team is experienced with the process. Whether you're an aspiring top chef, a novice cookie maker or anything in between, the kitchen can serve as the central meeting place for family and friends. Using warm wood colors and accents, while opting for the newest styles, instantly creates a more inviting look for your kitchen. Here are some ways to warm up your kitchen with color. So many delicious colors are available to help you create an inviting mood in your kitchen. Many of today's hottest hues are inspired by favorite foods and pleasant kitchen experiences such as cooking, baking and entertaining. Examples include today's popular paprika and cinnamon colors; soothing neutrals such as tarragon and sage; and the deep, rich tones of wine or cherry. These colors, when used in wall coverings, flooring or accessories, can provide a backdrop that sets the tone in your kitchen. There's nothing like the look of real wood to add a comforting feel to any room. And, since cabinetry is often one of the biggest visual elements in a kitchen, consider cabinetry in a warm color to make a high-impact statement. Many on-trend wood types are available in surprisingly affordable styles from manufacturers of semi-custom cabinetry. Offset the warm tones of the wood with the gleam of reflective accents. One way to add both style and light to the space is to choose decorative glass inserts for the cabinet doors. You can create just about any look you want with glass designs ranging from clear reeded glass with copper metal, to clear antique glass with zinc black patina metal. Textured glass styles are also available with shimmering special effects such as bronzed fabric. And with the popularity of mixed metals, feel free to introduce additional metallic elements such as a copper hood over the range or decorative hardware in contrasting metals. Complement the warm design theme by treating the eye to textured surfaces. Use woven baskets for storage or decorative purposes, add comfy textured pillows to the bar stools and bring in other textured elements in the form of rattan, fabric or pottery. Don't be afraid to sprinkle in elements of color surprise here and there to keep the space interesting, whether it's the splash of a lipstick red vase or a family photo framed in a vivid shade of electric blue. Let your kitchen be a personal palette that reflects your true personality. Warm it up with color, and no one will ever want to leave the room. Are you updating or completing improvements to sell in 2011? Call the Grove Team, Keller Williams Realty to schedule a custom market analysis today. Reach us direct, (817) 337-0000 or online at www.groveteam.com, Facebook and Twitter too! As we come into 2011, the construction on the North Texas Expressway is in full gear. As you travel the north Texas roadways this week, here are some lane closures to be aware of. 6) FORT WORTH, HALTOM CITY & NORTH RICHLAND HILLS MEDIAN & SHOULDER CLOSURE: The median and shoulder eastbound and westbound on IH 820, between the IH 820/IH 35W interchange and the IH 820/SH 121/SH 183 interchange, will be closed. Drive safely and stay tuned to the Grove Team's blog for updated information on the continued construction. Planning to buy or sell real estate in 2011? 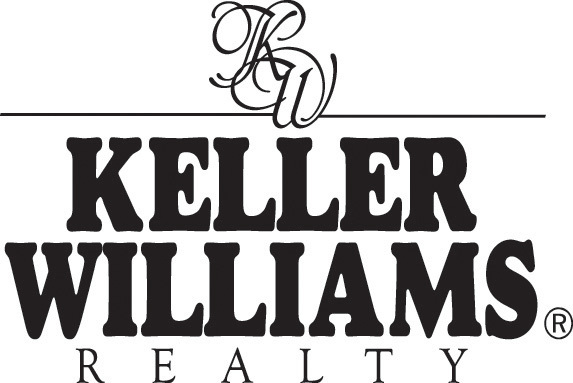 Contact the Grove Team, Keller Williams Realty for all of your real estate needs. Reach us direct, (817) 337-0000 or email us at info@groveteam.com. Follow us on Facebook and Twitter too! 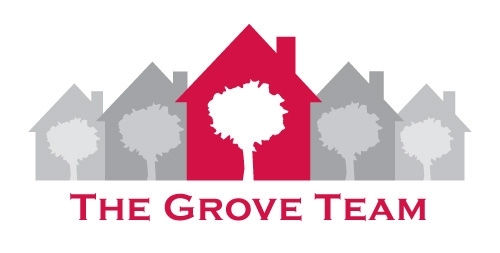 The Grove Team is committed to providing you with a total real estate resource center. The success of this commitment has been recognized nationally ranking in the top 1% of all U.S Realtors. Established in 1995, all members of the Grove Team are licensed Realtors.